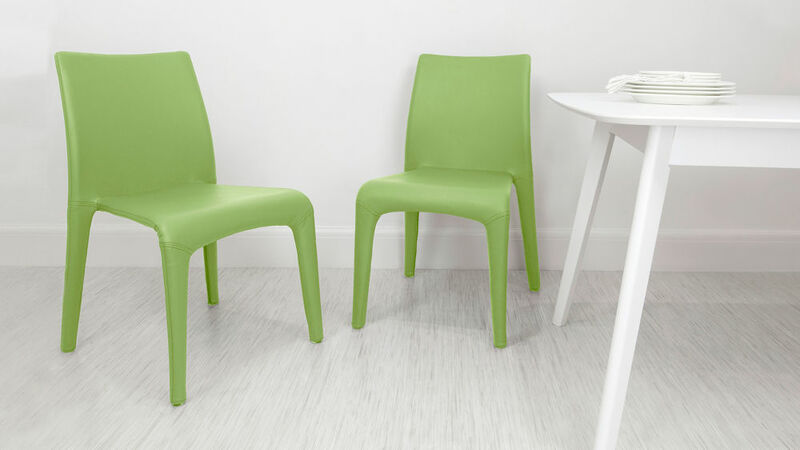 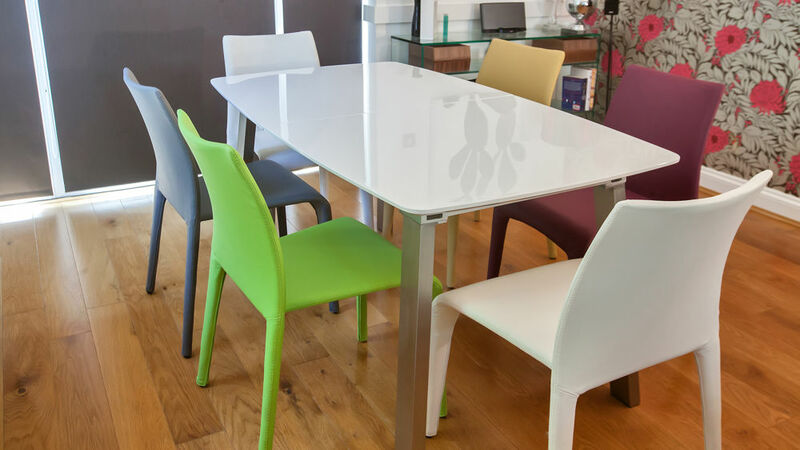 The Assi White Gloss and Argenta Extending Dining Set has a funky retro designer look. 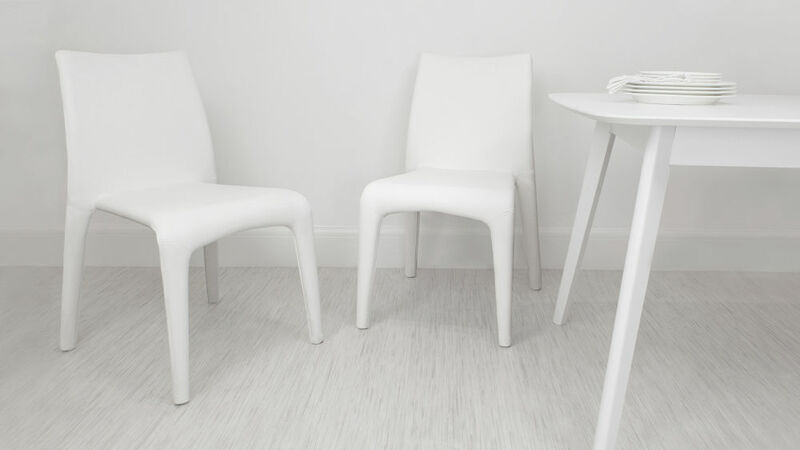 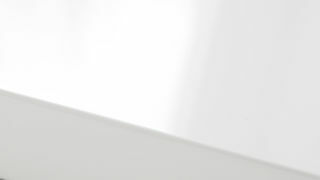 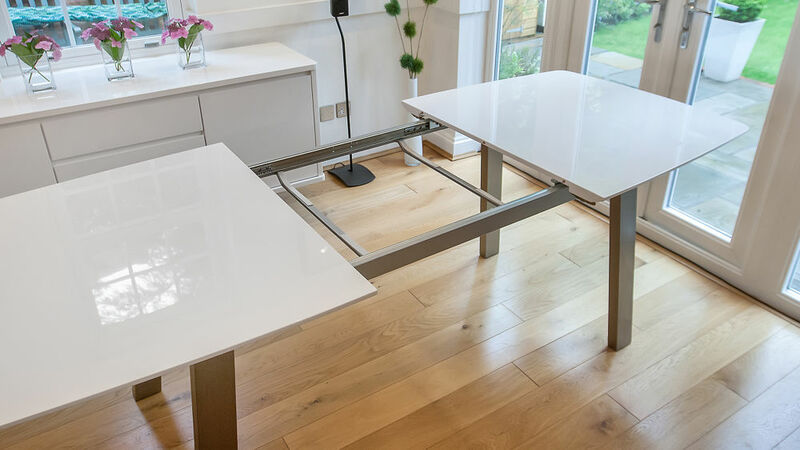 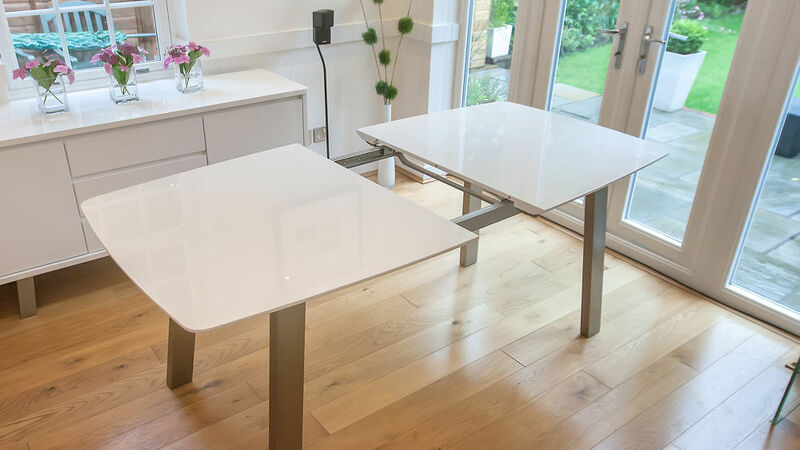 The high gloss pure white table top is slightly curved at either end, with chamfered edges and a slim profile, and extends from just over 160cm to 213cm to comfortably seat 8 guests. 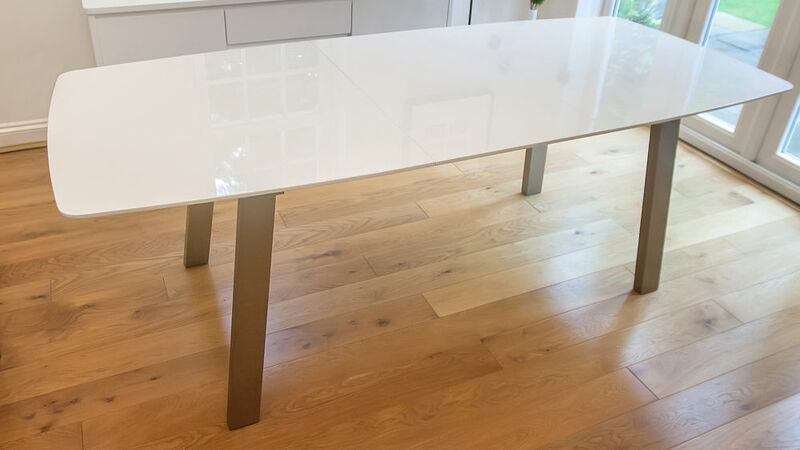 The legs of the Assi White Gloss Extending Dining Table are brushed metal and rectangular in shape, slightly slanted to enhance the retro look. 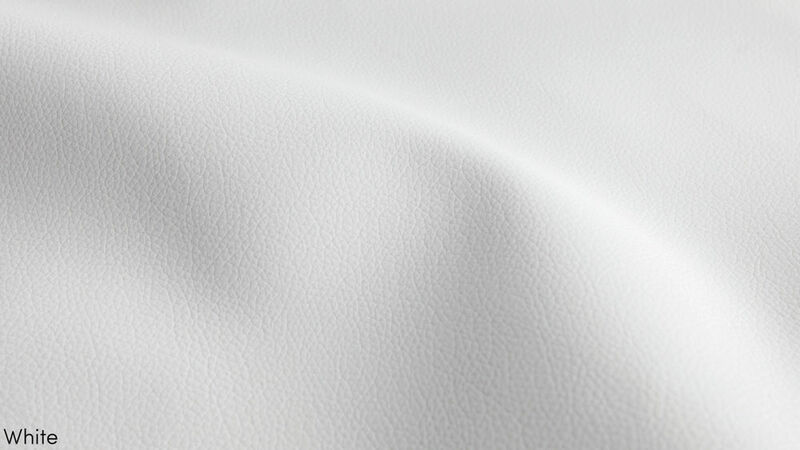 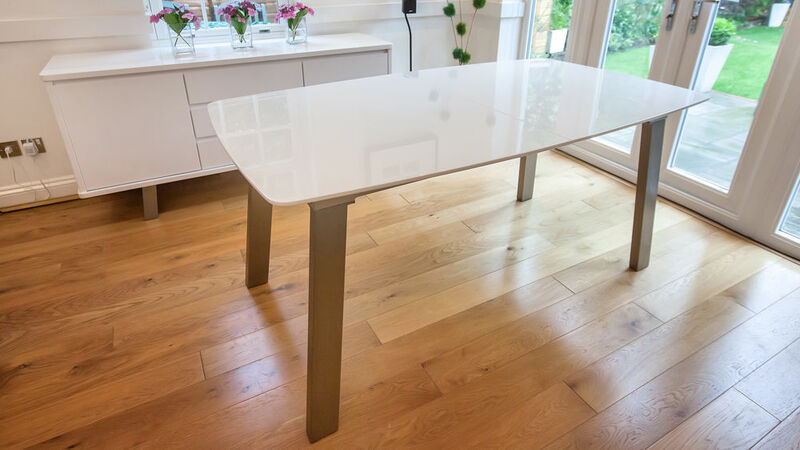 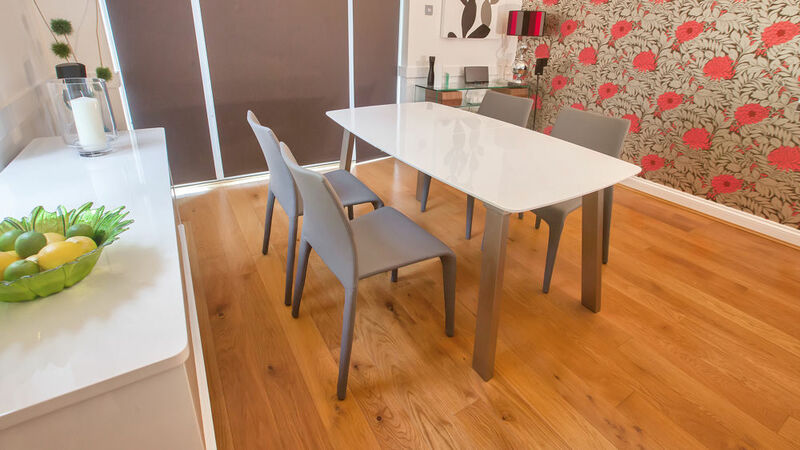 The white high gloss extension leaf is stored discreetly underneath the table top. 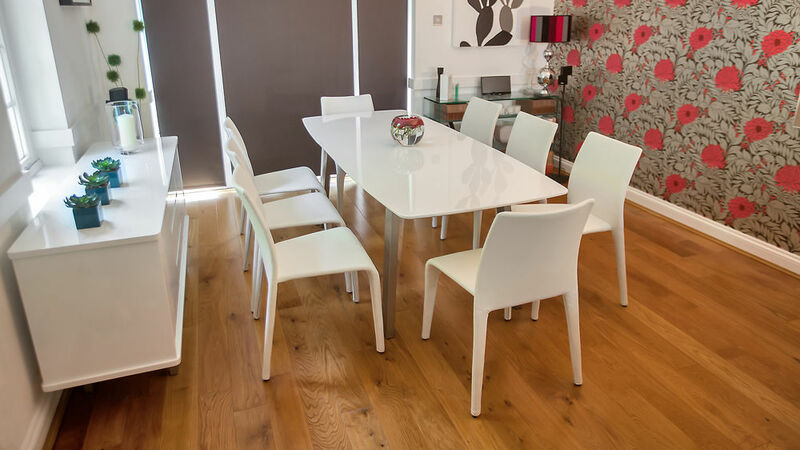 Partnering this stylish extending dining table are the stylish, chunkily curved Argenta Coloured Faux Leather Dining Chairs. 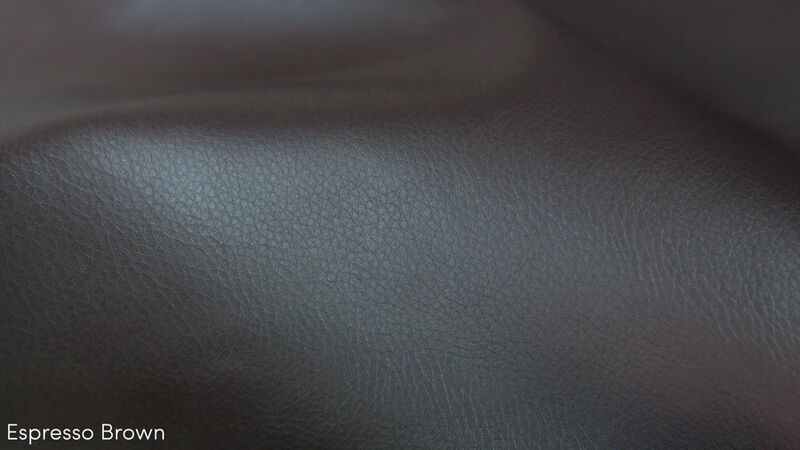 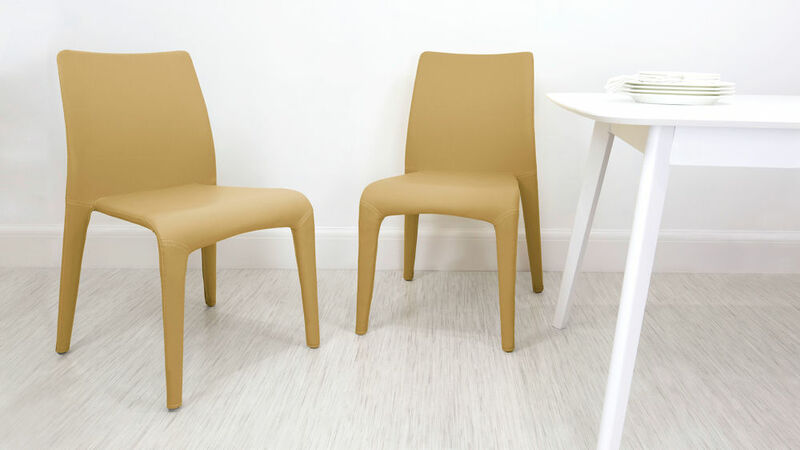 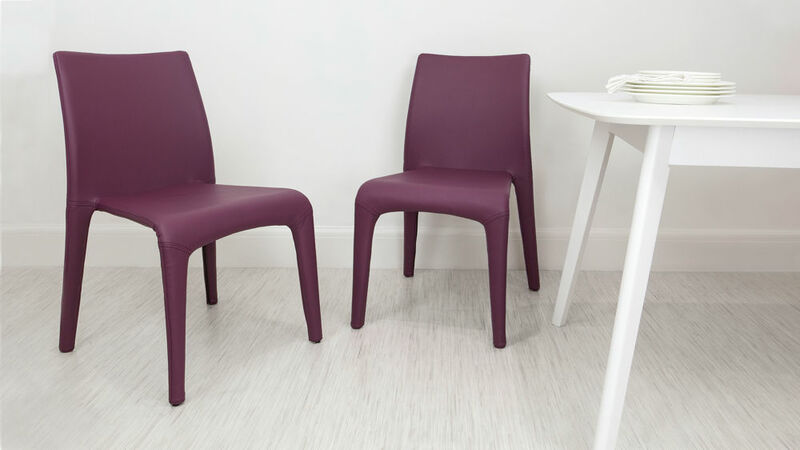 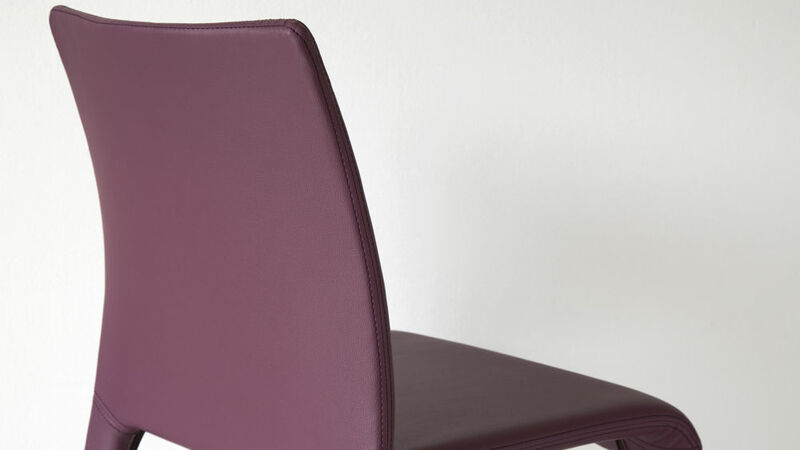 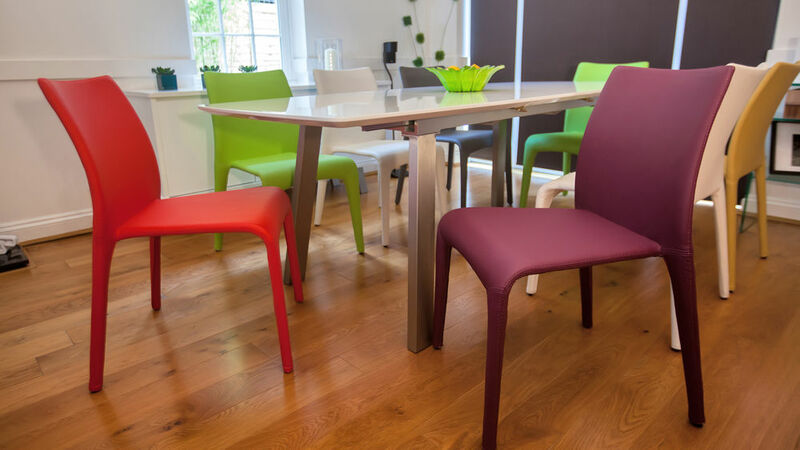 The metal frame is well upholstered in a broad range of colours in high quality faux leather to produce an eye-catching and modern dining chair. 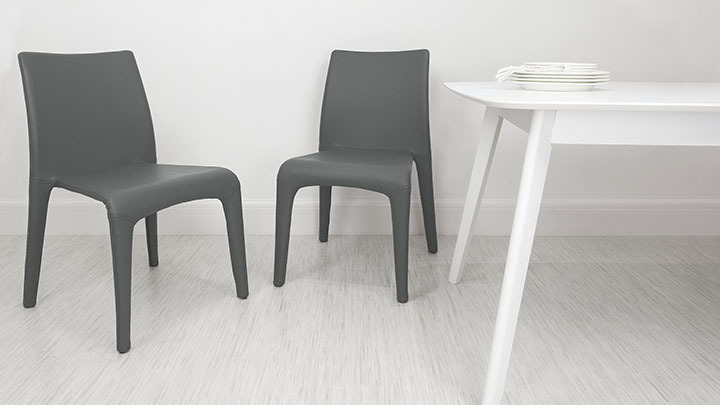 The Argenta is also stackable making it very versatile and brilliant for small spaces, as spare chairs can be stored safely when not in use. 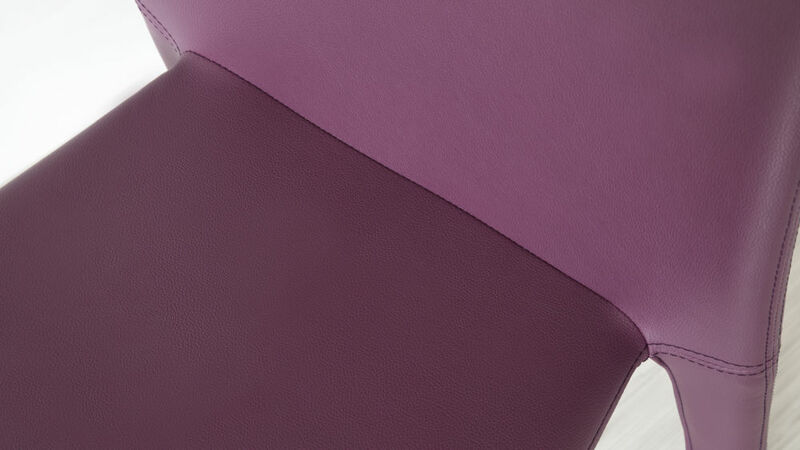 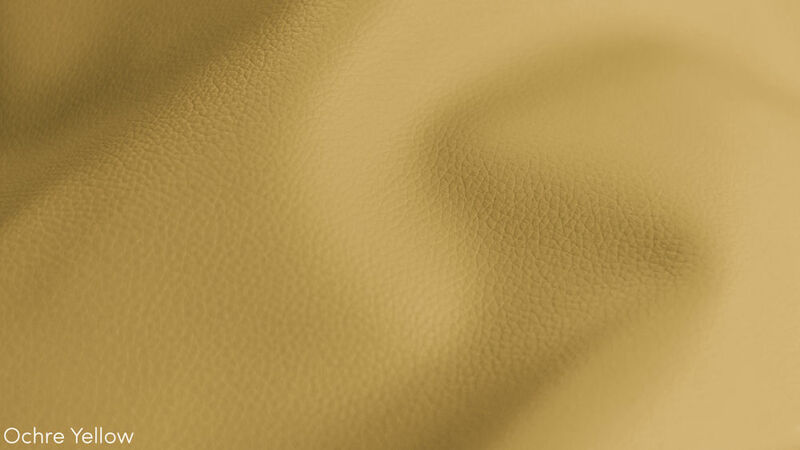 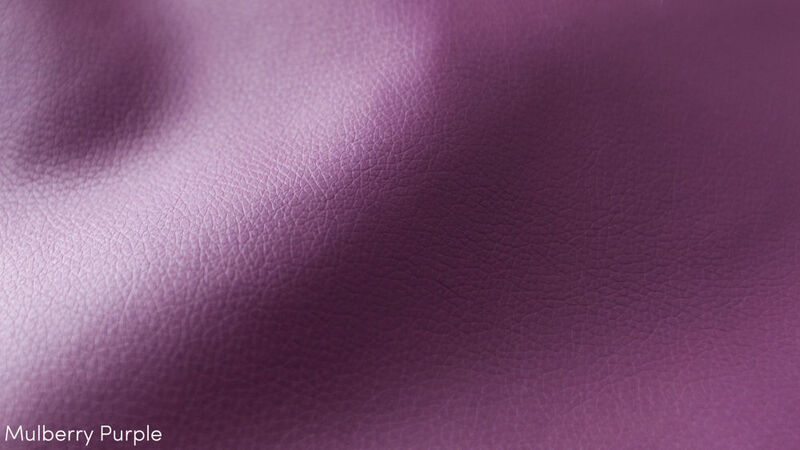 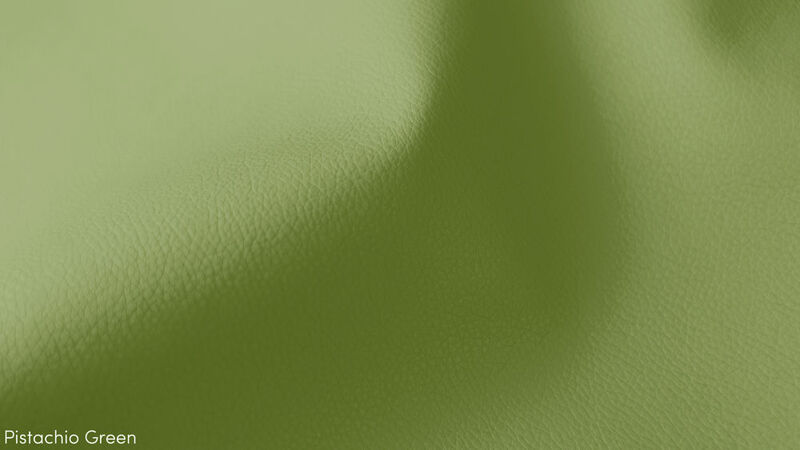 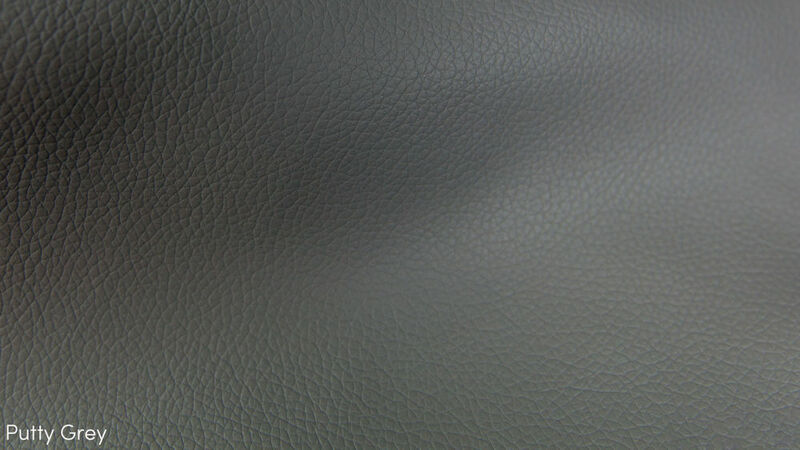 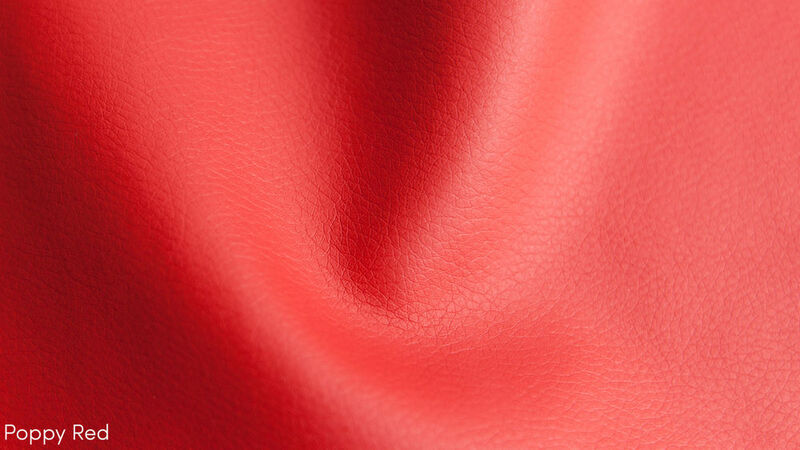 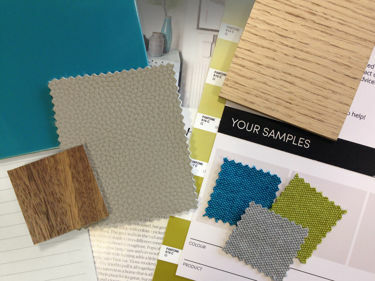 Available in fashionable modern White, Poppy Red, Putty Grey, Pistachio Green, Mulberry Purple and Ochre Yellow.